At The Chiropractic & Rehab Center in Salem we can help you with relief from the pain caused by an auto accident injury in Salem, OR. Neck pain can be the result of a chronic injury or a simple alignment. Click below to findout more about neck pain relief in Salem, OR. Back pain can be truly debilitating without help. Contact us today and start getting relief from chronic back pain in Salem, OR. As your premiere chiropractor in Salem, no one is more dedicated to providing patients with gentle, high quality chiropractic care in the area. The team at Chiropractic & Rehab Center works hard to provide each patient with personalized attention to ensure you get superior care. Dr. Spink takes time to get to know each patient, caring for the whole person. This differentiates his style of chiropractic care in Salem. His team has a reputation for excellence, proven through their 20-plus years of word-of-mouth referrals. The Chiropractic & Rehab Center is wholly dedicated to your health, and getting you back to feeling your best. Pain is never something a person should feel he or she just needs to live with. 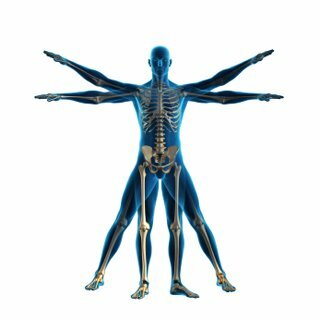 At Chiropractic & Rehab Center in we understand the importance of providing you with the care you deserve. Our goal is to relieve your pain and restore your health—not see how many patients we can see in a day! Dr. Spink gets to know his patients as individuals, taking time to discover the root of the health issue so he can provide accurate treatment and ongoing relief. For these conditions and more, Chiropractic & Rehab Center promises to take care of you. At times your relief from pain can be as simple as one visit to a Chiropractor in Salem. Other times we are able to decrease it over time with the right treatment. We aim to get you back to health as quickly as possible. Coming into Chiropractic & Rehab Center never means signing up for a lifetime of unnecessary care. Located in beautiful downtown Salem, our office is ready to see you. In his pursuit of total healthcare, Dr. Spink has helped many individuals find their way back to pain-free living. A large part of finding the right chiropractor Salem has to do with finding someone you trust.Dr. Spink naturally builds trust because his compassion and honest concern for his patients is obvious to anyone who meets him.Our chiropractors use methods that do not rely on invasive surgeries or prescription medication to treat pain. We focus on the spine and its effects on other areas of the body.Your treatment may involve a combination of spinal adjustments, massage, at-home exercises, and lifestyle changes.At Chiropractic & Rehab Center, we look at the big picture when it comes to health, not just the symptoms.Talk to us about how to get back to a pain-free life. We look forward to healing with you. Come find out why Salem swears by their favorite chiropractor,Dr. Spink and the the Chiropractic & Rehab Center.